﻿﻿﻿﻿My parents are from a city called Trieste, in the North of Italy (near Venice). The food in Trieste is unlike any other area in Italy. You are much more likely to find polenta, sauerkraut and bread dumplings on a restaurant menu, rather than the stereotypical Italian dishes such as pasta and pizza. However having said that, my mother still makes amazing pasta dishes and on special occasions she also makes gnocchi and pizza. Since #54 on my Life List is 'Master all my mum's Italian recipes' I thought I would start by making Pizza. I have been making home made Pizza for a while now and I thought I would share with you my recipe. Some of this recipe is based on my mum's, the rest is an amalgamation of other recipes I have tried and tested along the way. 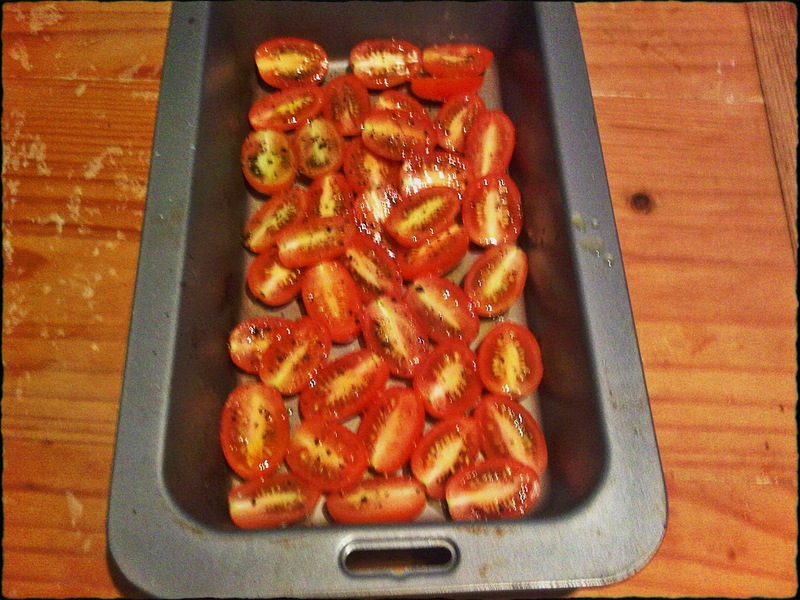 Place the tomatoes cut side up on a baking tray, which has been lined with baking paper. 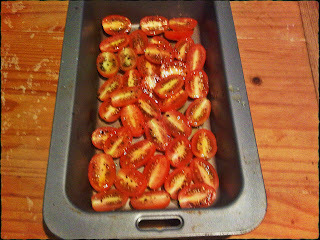 Roast for 25 minutes or until the tomatoes are shriveled. Heat the olive oil and sliced garlic in a heavy based pan. Don't let the garlic burn. 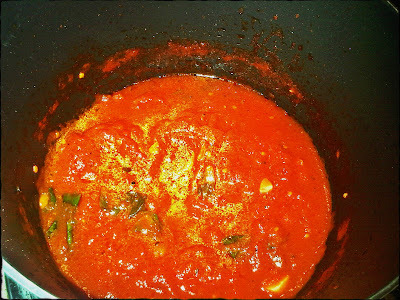 When the garlic is sizzling, add a can of peeled tomatoes and the torn Basil leaves. 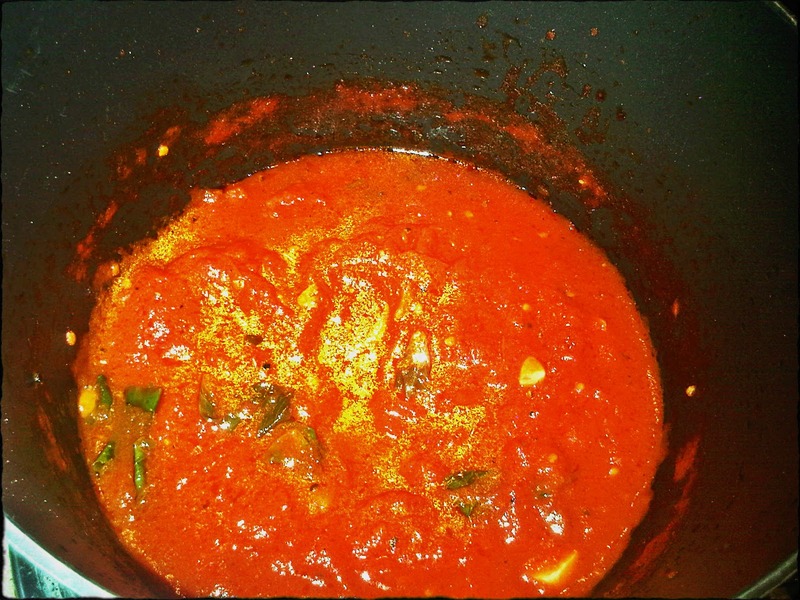 Add salt and pepper and let the sauce simmer some more. It should take about 15/20 minutes for the sauce to reduce. Taste to make sure there is enough seasoning. 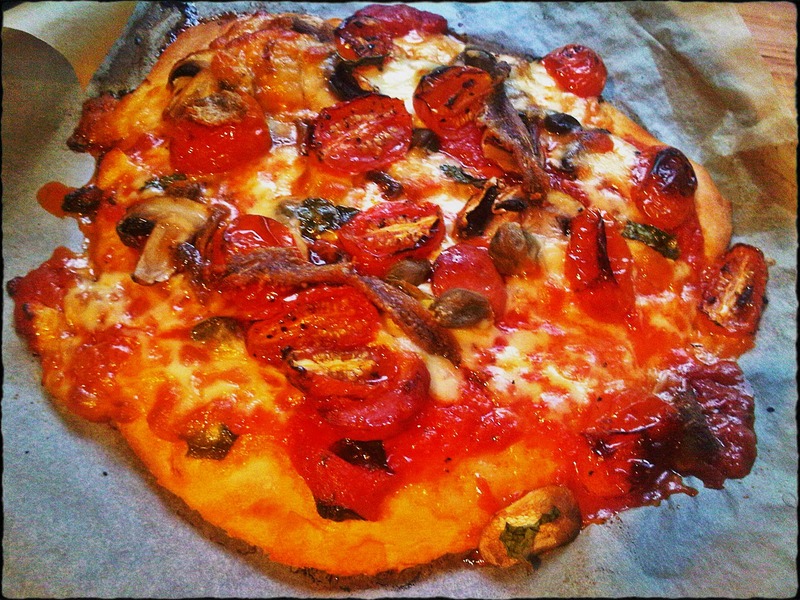 Let it cool and set aside until you need to use it on the pizza. ﻿Sieve the flour and salt in a large mixing bowl and make a well in the middle. In a small jug, mix the yeast, sugar and olive oil into the warm water and leave for a few minutes. Pour the liquid into the well. 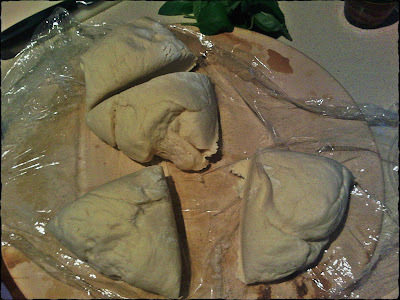 Bring the flour in gradually from the sides and mix it all together. 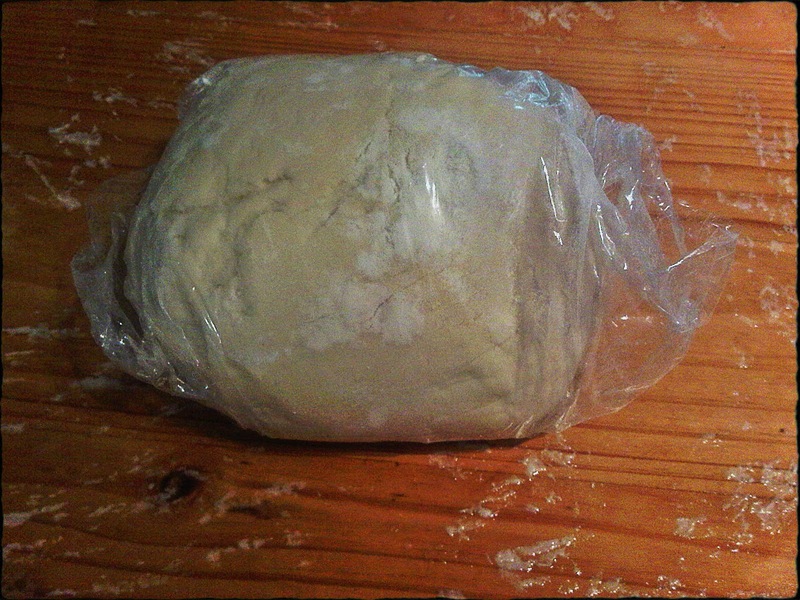 Take the dough out of the bowl and knead the dough on a lightly floured surface for about 10 minutes. 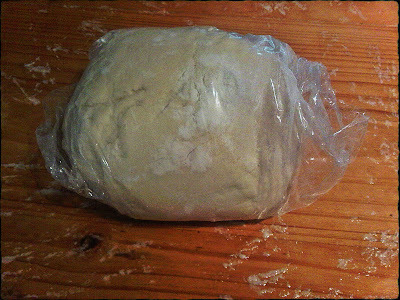 You can either use the dough immediately, or wrap it in clingfilm and put it in the fridge (or freezer) until required﻿﻿﻿﻿﻿﻿﻿﻿﻿﻿﻿﻿﻿. Roll out the portions of dough. 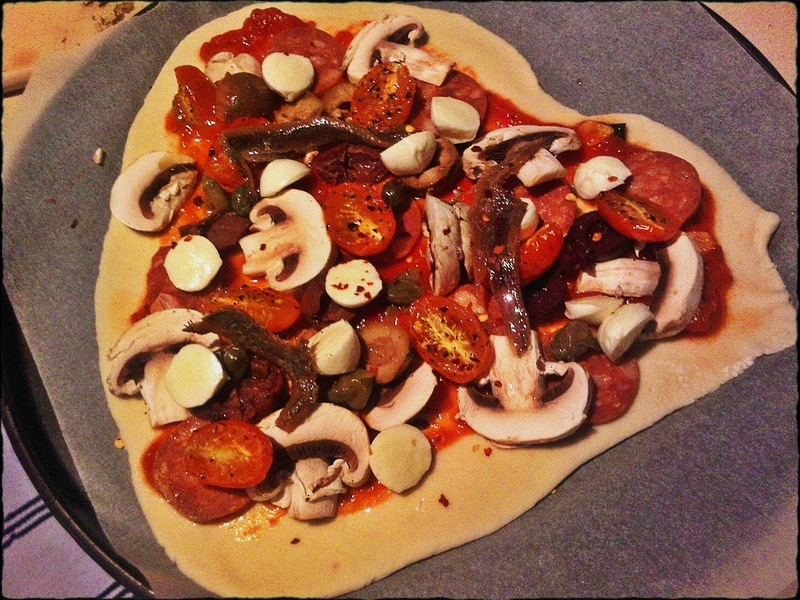 Try to make about 20cm circles (I just made sure it fit on my pizza tray). 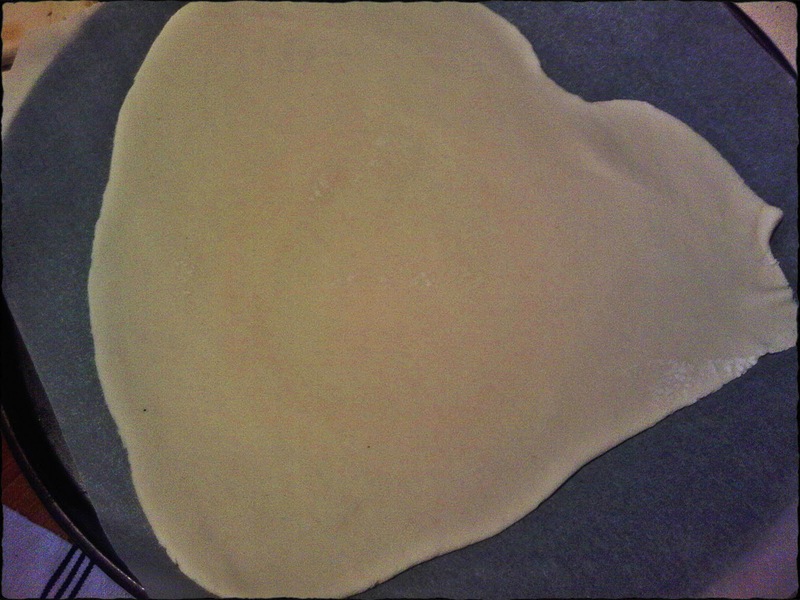 Try to roll the dough out as thinly as possible. If it is too thick, the dough tastes bready. Bake the pizza's using a pizza stone if possible, this makes the pizza taste that little bit better. The dough [image by Zahara Dessert]. Note: try to roll it out as thin as you possibly can. You can add any ingredients that tickle your fancy. 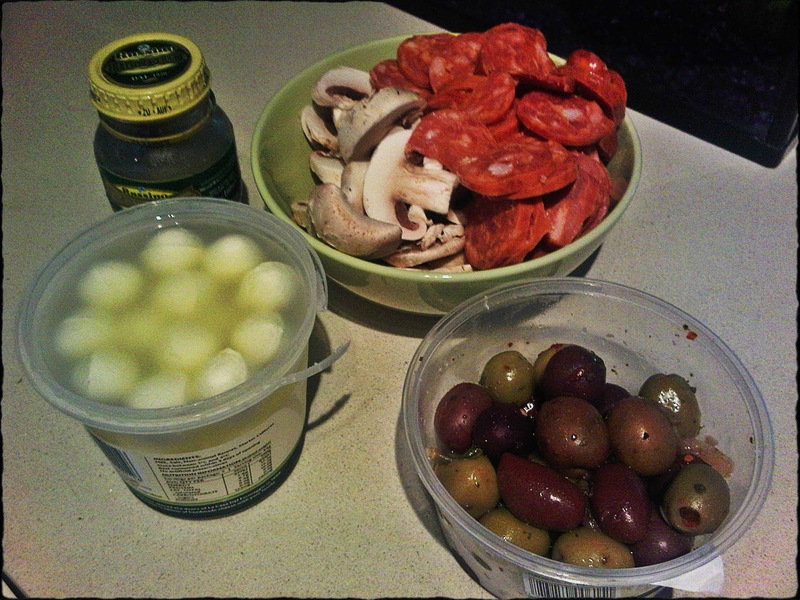 I used what you see below [anchovies, mushrooms, chorizo, olives, bocconcini]. 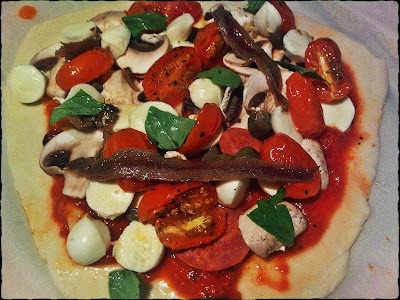 I also added capers, fresh basil, chili flakes and the roasted grape tomatoes I made earlier (recipe above). 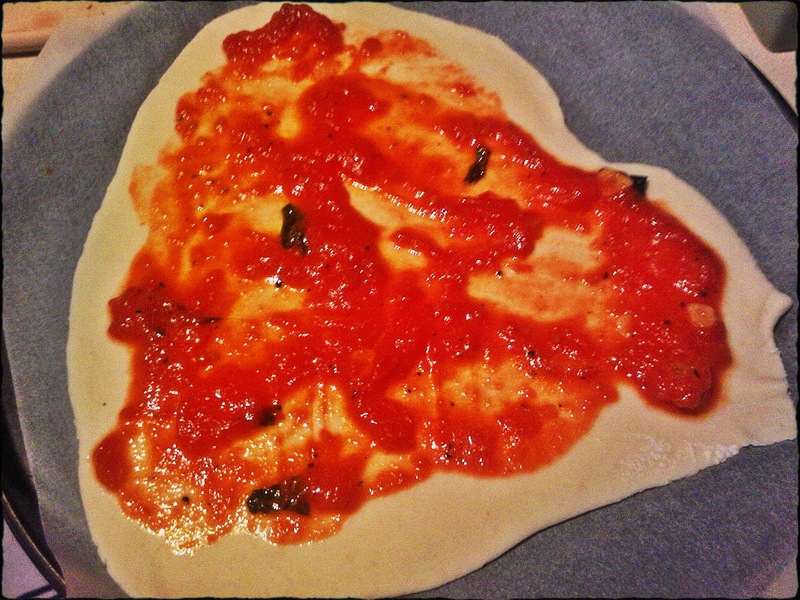 ﻿ Add a layer of the home made tomatoes salsa to the pizza base. 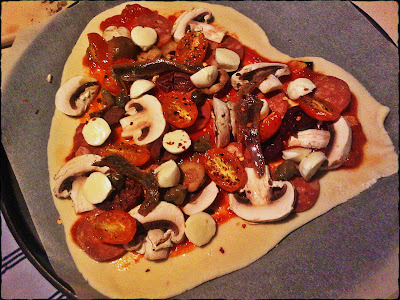 Then﻿ add your desired toppings. 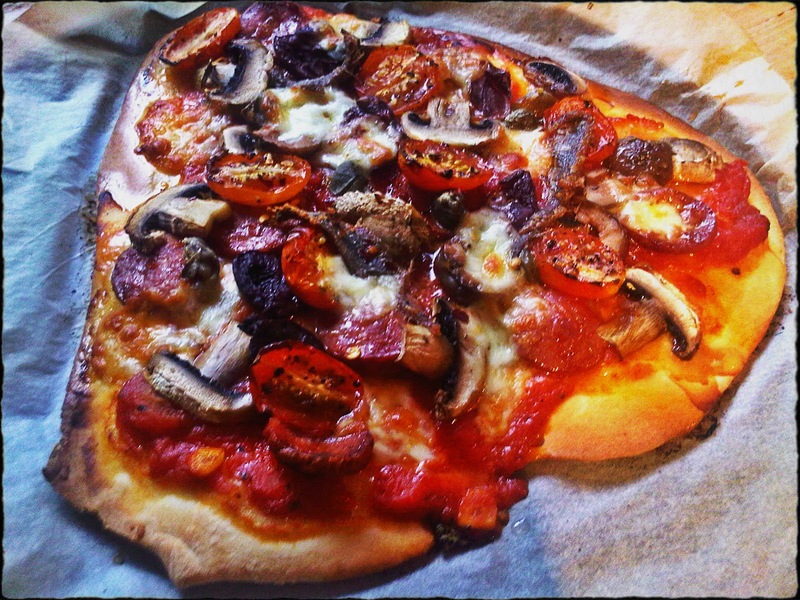 Bake your pizza's in the over for about 15 minutes, or until the pizza looks cooked. If using Buffalo Mozzarella, you might want to add the cheese after the pizza has come out of the oven, the residual heat melts the cheese slightly.